The moment a potential consumer browses through the website of a company, an initial impression about the company is instantly created in his mind. 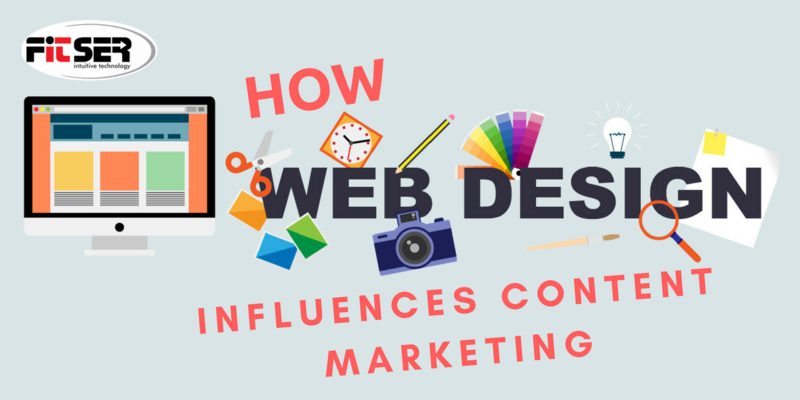 It means that the choice of web design has a direct impact on the brand image of a company. Hence, from a choice of colours to style – you need to add up different elements of web design in order to create a powerful first impression. On the other hand, the choice of bad or unimpressive web design may lead the potential customers to close the browser and seek other businesses. In short, web design Australia can affect different features of your digital marketing strategies, especially the content marketing. Content marketing is a widespread practice of endorsing a company through content; however, content marketing does not necessarily mean the direct advertisement of the company’s brand or product. Rather it is a tricky way to generate customer’s interest in those things or products by providing relevant and useful information. For example, FITSER has a dedicated blog discussing web application development Australia, search engine optimisation (SEO), web design Australia as well as other digital marketing strategies, where they publish guides, tutorials and advice to help their clients make an important decision about promoting their websites and creating brands. Although the guidance, advice and tutorials are not straightforward advertisements of brand FITSER, the visitors get to know about the quality and experience of the company in this field. They can find valuable information – how FITSER can open the door of their company’s brand and image and how it can help them increase their sales. Content marketing is strongly related to web design as the design and application of a website bring impact on how the users access and read the content. When you are planning to design a content-heavy website, you should keep it easily accessible. One of the important aspects of publishing informational content on the site is to accessibility and readability. Make sure that the users can find all relevant information easily and they don’t need to navigate through irrelevant content. Following the recent trend in web design, you can add a straightforward setup along with drop-down menu as it is a great way to help your visitors find relevant information that they are actually seeking. In these days, visitors tend to judge the quality and reliability of content based on the professional appearance of a website. If the design is not so impressive, the chance is that the visitors may turn away from the site, even if the content is information and easy-to-find. The web design should be not only aesthetically appealing but also the content has to be visually appealing and easily readable. Putting too many fonts seem overwhelmed and unprofessional. Hence, you should stick to a particular font for the titles and another for the body. Make sure that you are choosing the right fonts and colours so that your visitors can easily read and comprehend the content. You might publish too many relevant contents on a specific topic; bit if the font colour is very similar to the background colour, your visitors may feel least interested to read them. Make sure to keep the body copy clean and large enough so that the visitors don’t need to struggle to read them. You may find a diverse range of web designing elements that can ideally serve the purpose of content marketing. However, the bottom line is that you need to design the website keeping both visitors and readers in mind.